Tableau is an interactive data-visualization tool focused on business intelligence. 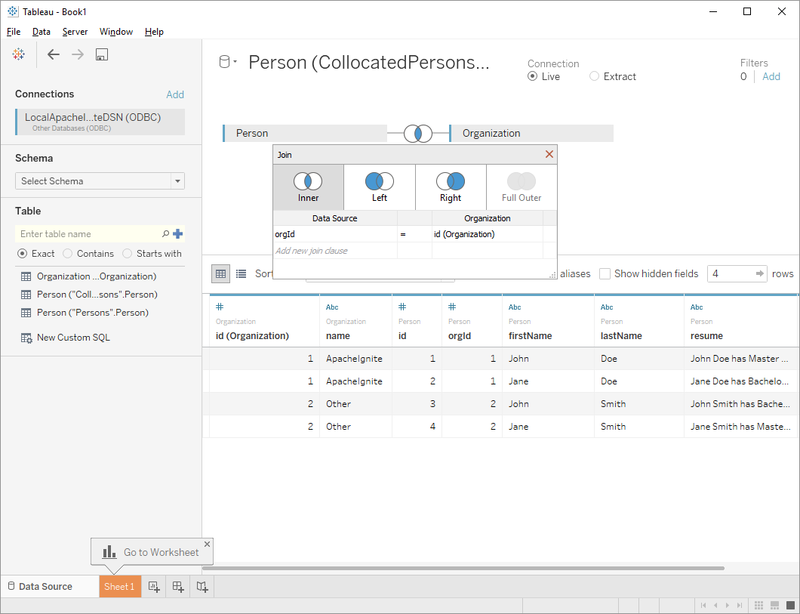 It uses ODBC API to connect to a variety of databases and data platforms allowing to analyze data stored there. 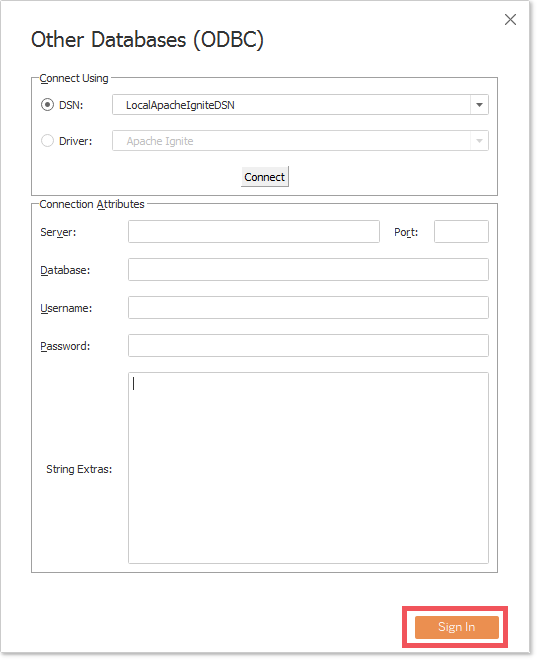 Apache Ignite is shipped with its own implementation of the ODBC driver which makes it possible to connect to Ignite from Tableau and analyze the data stored in a distributed Ignite cluster. Download and install Tableau Desktop. Refer to an official Tableau documentation located on the product’s main website. Install Apache Ignite ODBC driver on a Windows or Unix-based operating system. The detailed instructions can be found on the driver’s configuration page. 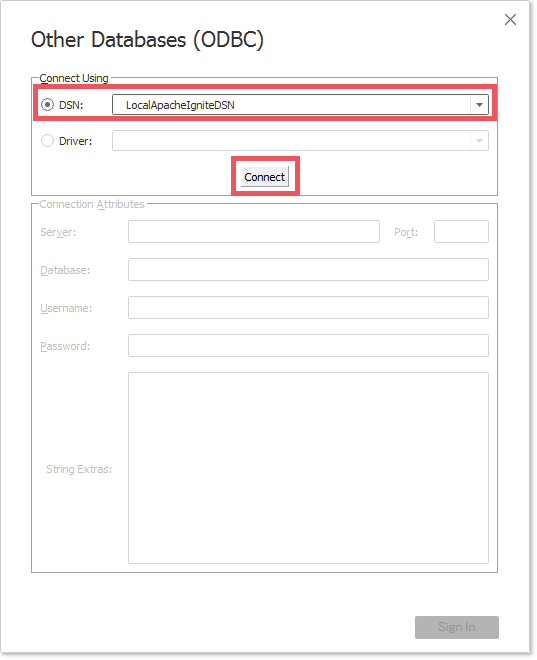 Finalize the driver configuration by setting up a DSN (Data Source Name). Tableau will connect to the DSN configured at this step. The ODBC driver communicates to the Ignite cluster over a so-called ODBC processor. Make sure that this component is enabled on the cluster side. After all the above steps are accomplished, it’s time to connect to the cluster and analyze data located there. 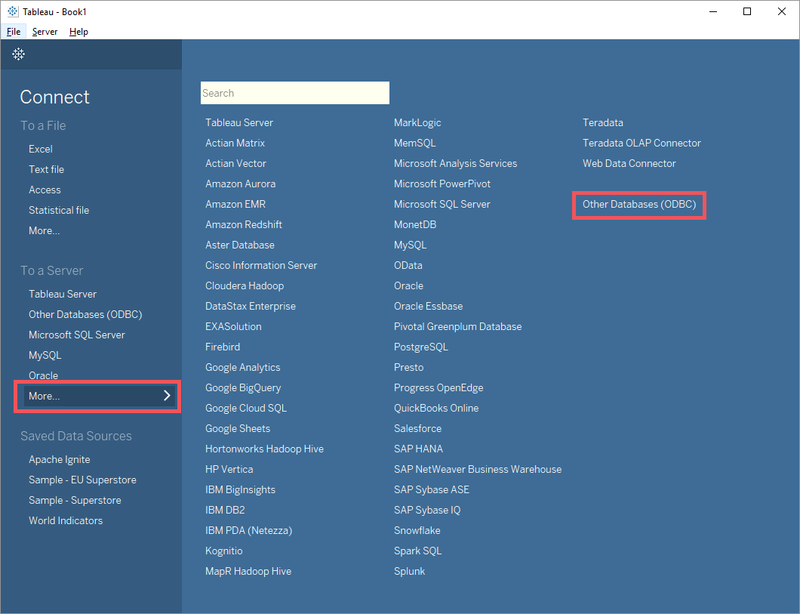 Launch Tableau application and find Other Databases (ODBC) setting located under Connect -> To a Server -> More... window. Click on Edit connection link. Set DSN property to the name you configured before. In the example below it’s equal to LocalApacheIgniteDSN. Once this is done, click on the Connect button. Tableau will try to check the connection by opening a temporal one. 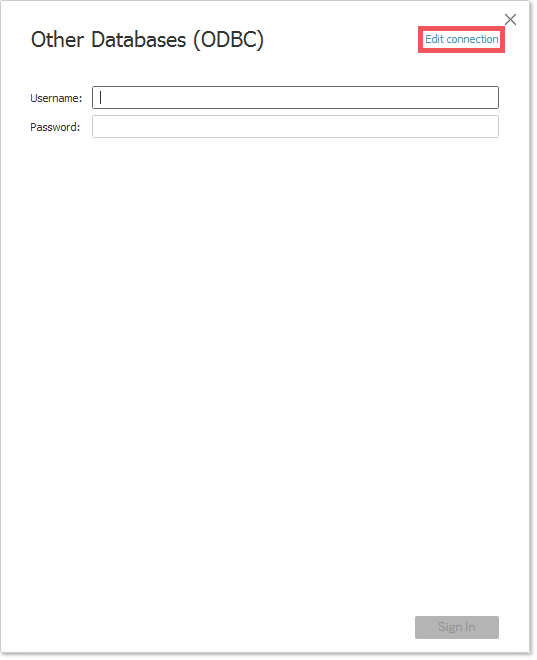 If the validation succeeds, the Sign In button as well as additional connection related fields will become active. Click on Sign In to finalize the connection process. 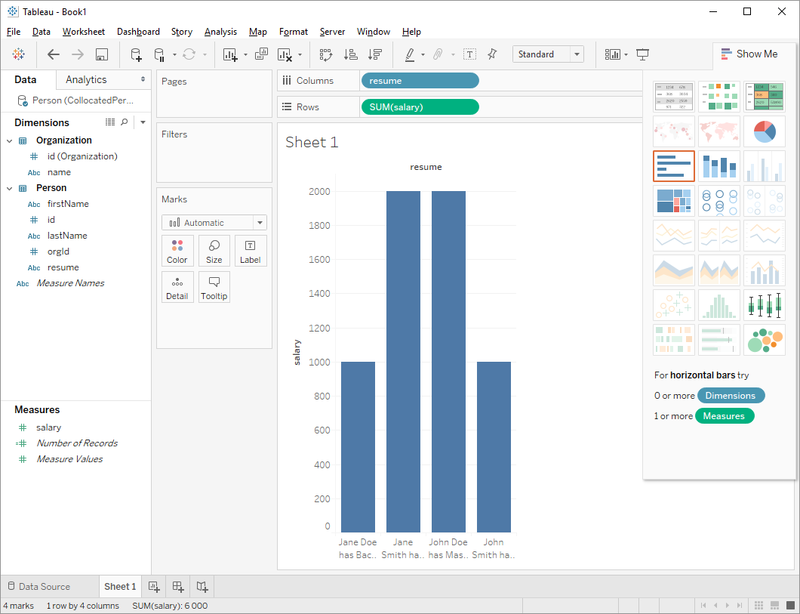 Once the connection is successfully established between Ignite and Tableau, the data can be queried and analyzed in a variety of ways supported by Tableau. For more details, refer to the official Tableau documentation.